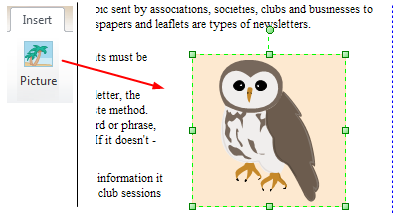 From the following guide, you will learn the basic steps on how to make professional looking newsletters with Edraw. The easiest method for creating newsletters is to start from ready-made templates. Edraw is an excellent newsletter maker coming with extensive built-in newsletter templates. You can create a newsletter from scratch or from a ready made template. 1. On the File menu, point to New. 2. 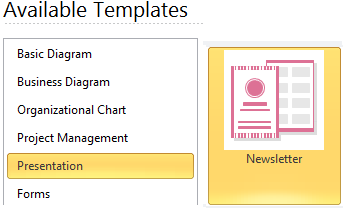 Click Presentation from the Template Category, and then select Newsletter icon. Double click the Newsletter icon to start a new drawing page. 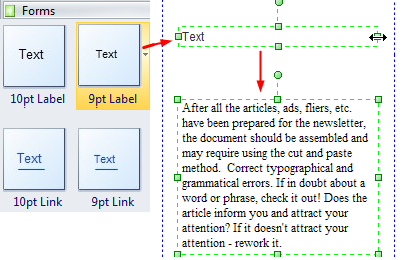 Click Newsletter, and from the corresponding Example Window, choose a newsletter template and double click it to edit. Switch to Page Layout tab. Under this tool bar, you can set page size, page orientation, unit, ruler and grid, and so on. Now you need to develop a layout grid which sets page margins, divides your page into columns, and establishes areas to help position your text and pictures precisely. Drag from the horizontal ruler to create a horizontal guide. Drag from the vertical ruler to create a vertical guide. Click on the guide line once to select it and it will turn green. Position your pointer over the guide line, and drag the guide line to move it. First select it. From the Home tab, click Protect button, and from the pull-down menu choose X position or Y position. You can hide or show rulers, guide lines, and grid lines under View tab. 1. 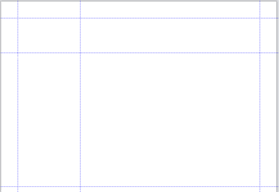 On the left of the canvas, from Form library, drag a text field and place it to the correct position. 2. Adjust the text field's width to fit with your lay out. 3. Input text and customize the font style under Home tab, Font menu. 1. Switch to Insert tab and click Picture button to insert pictures. 3. Click and drag the corners of the image to resize it. Click and drag the image itself to move it to the correct area. 3. 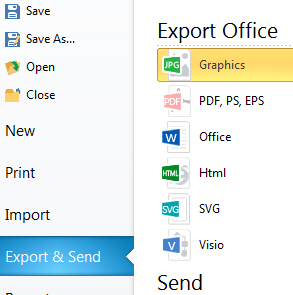 Choose a format and export the newsletter. 3. Set the print options and print the newsletter. Edraw has elaborately designed a collection of delicate Newsletter examples and templates. Go to the template pages and get free downloads.